Discount Windows and Conservatories are proud to offer fantastic double glazing prices to homeowners in Clacton-on-Sea. Our commitment to premium quality and expert installation corresponds with our aim to provide cost effective quotes on double glazing for your home. Our guide to double glazing prices in Clacton-on-Sea will give you an overview of the options available to you and the value you can benefit from. Don’t settle for less for your home. When your double glazing is old and tired, it may not perform to very high standards. In recent years, the energy efficiency capabilities of double glazing have improved immensely, featuring innovative technology and revolutionary engineering. 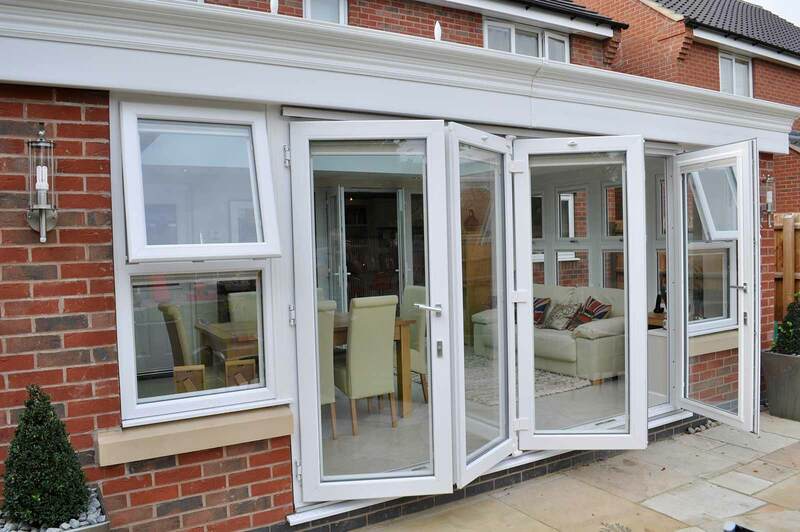 Our windows, doors and conservatories are all high performance, featuring the latest developments. We work with Deceuninck windows and doors and Ultraframe conservatories to ensure outstanding performance, protecting your home whatever the weather. Our double glazed windows and doors are most efficient, capable of A* CERTASS rating. This ensures that you can be confident in their thermal performance. In addition to this, our windows, doors and conservatories could even enhance your property’s EPC rating, helping to make your home more appealing to potential buyers. Your Clacton-on-Sea home should be safe and secure, protecting you from potential intruders. Essential security shouldn’t cost the earth either, therefore our double glazing prices include standard security features to meet your needs. Every profile is reinforced to ensure maximum strength, protecting you from physical attacks. In addition to this, we fit our windows and doors with state-of-the-art locking systems, to ensure ultimate protection. A lot of our products feature unrivalled and patented Glass Fibre Linktrusion to provide incredible security, which results in them Secured by Design accreditation for your peace of mind. For affordable double glazing prices without suffering on performance, windows and doors from Discount Windows and Conservatories are a must have for your home. At Discount Windows and Conservatories, we offer our customers a range of options and double glazing prices, enabling you to tailor your installation to meet your needs and your tastes, as well as your budget. Our windows, doors and conservatories can come in standard, cost-effective white uPVC, for a fresh and clean appearance, or you can tailor the finish to blend in with your home. We offer a range of colours and woodgrain foils to grant you the option of creating a match with your architecture. Choose a natural timber effect for a cost-effective alternative to wood, or take a look at our classic colours to add individuality to your home. We also provide a range of choices when it comes to glazing, hardware and accessories, meaning your double glazing costs can be completely customised. Whatever your home improvements budget, we are sure to be able to help you achieve replacement double glazing that complements your style. 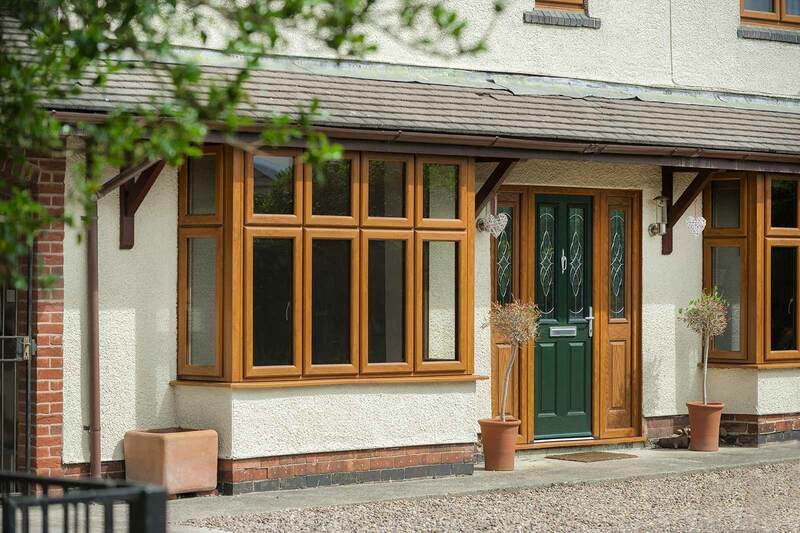 Your choice of design will also have an impact on your double glazing prices, and we offer a wealth of options that you perfectly match with your Clacton-on-Sea home. For ultimate long-term performance, insulation and the traditional look of timber combined with the technology and performance of uPVC, we even offer composite doors from DoorStop, the leading manufacturer. Our conservatory styles are also available to suit a variety of budgets, and for a cost effective alternative to a brick-built extension, we also have orangeries available. You can get a double glazing quote in an instant with our online quoting engine. Pick out the combination of specifications that meets your needs and then see the costs. If you prefer, get in touch, and our friendly team will guide you through our options. We’ll help you to find the perfect double glazing prices for your Clacton-on-Sea home improvements.